Reasonable accommodations allow people with disabilities to work, go to school, participate in sports, … on an equal footing with everyone else. A reasonable accommodation means changing something about an environment to make it accessible for a person with a disability. It is a measure that neutralises the effect of the inaccessible environment with which a disabled person is confronted. Veerle is studying to become a nurse. Because she has impaired hearing, at the hospital where she is doing her traineeship, she is given a special stethoscope (with an amplifier). Natasha is studying journalism. She has ADHD and is easily distracted by outside stimuli. She is allowed to take her exam in a quiet exam room, so that she will have as little distraction as possible. Geert is a witness to an accident. 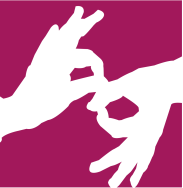 Thanks to the assistance of a Flemish Sign Language interpreter, he is able to submit a detailed witness statement. What can be considered a reasonable accommodation? It meets the needs of the person with a disability. It allows the person to work, learn, do sports, live… on an equal basis with other people. It allows the person to get around or engage in the activities as independently as possible. It ensures the person’s safety and respects their dignity. Reasonable accommodations are always adapted to the specific and individual support needs of the person with a disability. They can take many forms. Sometimes one person may require multiple accommodations. Reasonable accommodations are not intended to give disabled persons an advantage over others. On the contrary: they compensate for the disadvantages that they experience as a result of the non-adapted environment. Sometimes a reasonable accommodation can benefit multiple people with disabilities. For example, a Flemish Sign Language interpreter for multiple deaf participants in a given situation. Or also: adaptations to a building for wheelchair users and other people with reduced mobility.